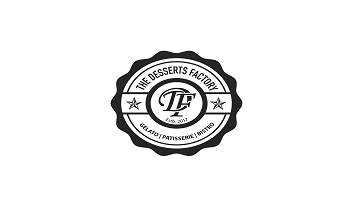 The Desserts Factory premium bakery located in Qutub Plaza, DLF Phase 1 Gurgaon, offers an exquisite range of delectable cakes, patisserie, bistro and assorted confectionery. It uses the best quality imported ingredients that satiates the cravings of every sweat tooth. Head over to The Desserts Factory today for a sumptuous experience. Shop for any product billing Rs. 1000/- and above and get 5% discount on bill amount. To redeem, pls. present the card number at the time of making payment. The Desserts Factory is not liable for the loss of the gift card. In case of loss or expiry, no refund would be made. In case the amount of purchase is more than the amount left in Gift card, the remaining payment to be made directly at the counter. This can be used multiple times. Pls. carry the voucher code to The Desserts Factory and redeem it against your order. This gift card can be redeemed at J2, Qutub Plaza, DLF Phase 1, Gurugram, Haryana 122002.